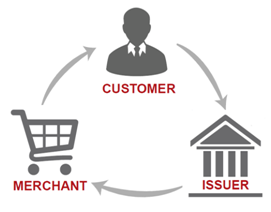 Chargeback representment cycle is a process by which merchants are able to dispute chargeback by showing evidence that transaction was authentic. Based on the evidence provided, card brand reverse the chargeback and refund merchant. In case if chargeback isn’t represented successfully, then merchant can go for arbitration, which can result in additional fees. Every year merchants lose billions of dollars to online frauds. Chargeback is the reason for 43% of them, for a merchant even single dollar starts to add up. Many leave their money on the table instead of recovering it quickly. You are a merchant and want to fight for your right? You should understand how card brand process works. If merchant want to revert it then claim should be submitted by due date on the notification. If the merchant doesn’t provide enough evidence then there won’t be return. Why Chargebacks need to be represented? 30% merchants represent all chargebacks, while 60% represent fraud coded only. It is extremely important to keep pros and cons in consideration, because some chargebacks can hurt the business. Handling the matter effectively is essential, losing may cost transection amount, operation costs, as well as actual merchandise. Why chargebacks should be represented? Why business need to be proactive? Chargebacks are not only loss of sale, they come along with fees without warning. Business will lose revenue, additional costs may hurt. If there are numerous chargebacks then merchant may lose the trust from processor. Many banks assume that merchant is guilty, chargeback representment will assure that your business doesn’t get blacklisted. When Card Brand Rule out Decision against Merchants? If return and cancellation polices were clear on the website, emails, recipes, and on areas where you thought it was important to highlight. This can help you win dispute and card brand will be forced to rule out. Customer may claim that goods were not received, but if you use signature delivery such as postal service, FedEx, or other then brand will rule out. It is not foolproof, but it can help you to some extent. You can provide detailed information to the bank, including documentation, to resolve dispute. Card holder claims that merchandise was defective when it was fine. Questioning the quality of product when merchant has mentioned it on online store. Card holder claims that transaction wasn’t authorized.